Yo! 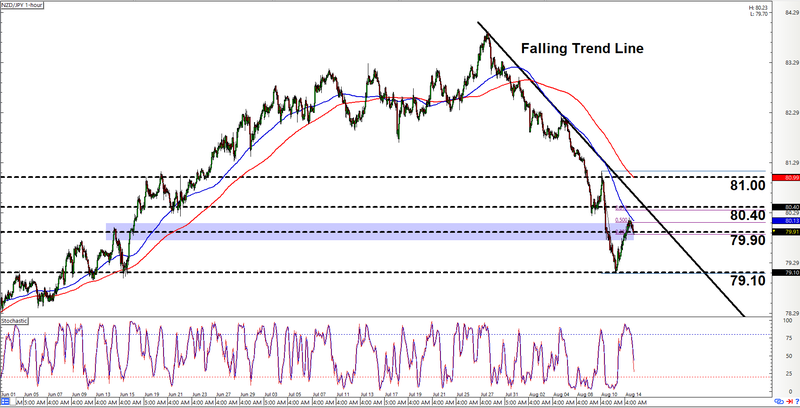 It’s a brand new week, so let’s start it right with a couple of fresh short-term setups on the Kiwi. To be more specific, I’ve got a channel on AUD/NZD and a Fibonacci retracement setup on NZD/JPY in today’s intraday charts update. As y’all can see, AUD/NZD has been trending ever higher while respecting that there ascending channel (for the most part). And as y’all can also see, the pair is currently close to the channel’s support area, which should be at just above 1.0770. Y’all therefore better start lookin’ for opportunities to go long on the pair. And all the more so, given that stochastic will soon be signaling oversold conditions and all that. Also, them moving averages are currently in uptrend mode. And it even looks like as if the 100 SMA is acting as dynamic support, which is another technical argument for support to hold and for the pair to resume its upward trek. However, do note that them bears appear to have entrenched themselves at 1.0820 since the previous attempt to clear that resistance area failed. Y’all therefore better be extra careful, if ya catch my drift. 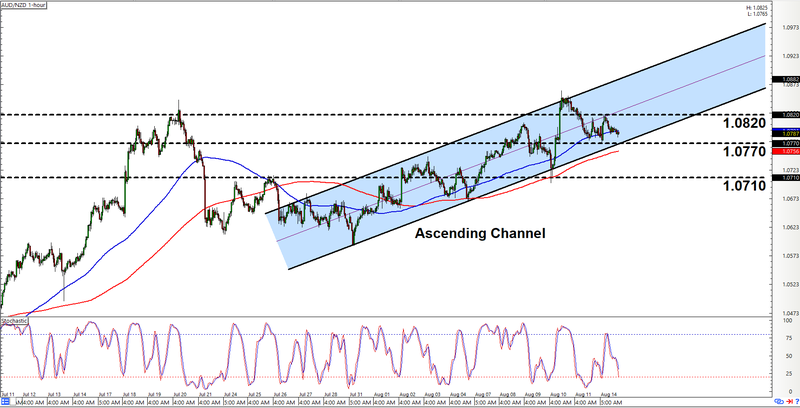 Also, the fact that them bears have set up shop at 1.0820 means that there’s currently a higher-than-average chance for a downside channel breakout, so y’all may wanna prepare for such a scenario as well, especially if bearish momentum is strong enough that the pair clears the key area at 1.0710. NZD/JPY is currently pulling back after a strong downswing. And if we apply our handy Fibonacci retracement tool, we can see that the pair just bounced off the 50% retracement level, which is just beyond a major area of interest at 79.90. Stochastic is pointing down and the 100 SMA appears to be acting as dynamic resistance to boot, so chances are good that the pair will continue moving lower. And if the pair does move lower, then them bears will likely be gunning for 79.10 next. However, stochastic will soon be reaching oversold territory but bearish momentum has yet to pick up. As such, there’s a chance that the pair would climb higher first before moving back down. If such a scenario plays out, then the pair will likely find resistance at 80.40, which lines up with the 61.8% Fibonacci retracement level. Also, reaching 80.40 would be a test of that there falling trend line. But if the pair goes beyond 80.40 on strong bullish momentum, then y’all may wanna start thinking about bailing yo shorts. And if the pair clears 81.00, then y’all may even wanna switch to a bullish bias since breaking past 81.00 shows that them bulls are in control.